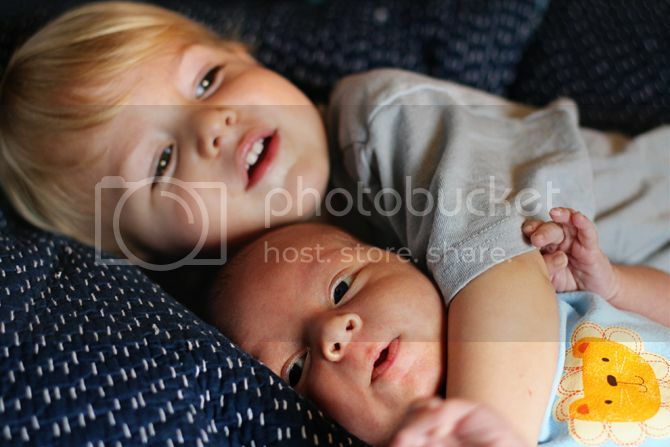 Love the snuggle pictures at the end. So precious! My kids are two years apart and I wonder how many times a day I tell my older to be gentle with her brother. Sweet pictures. 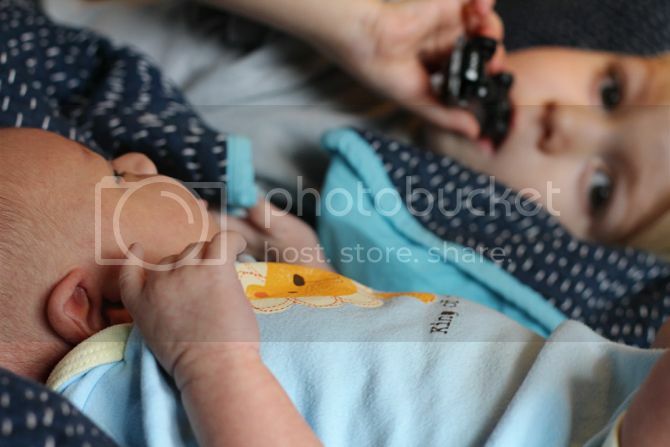 these pictures are super sweet! See you all in 3.5 hours. Seriously. I'm not a fan of being pooped on either, lol. They are so sweet! 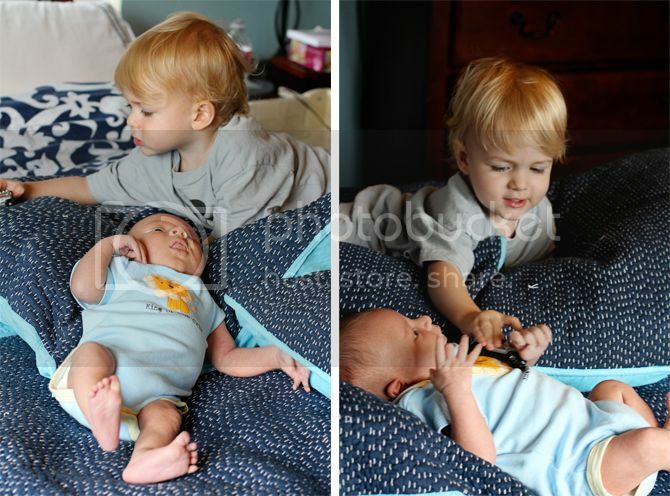 omg those pictures are pure sweetness! sweet boys - you are one lucky Moma!! LOVE IT!! 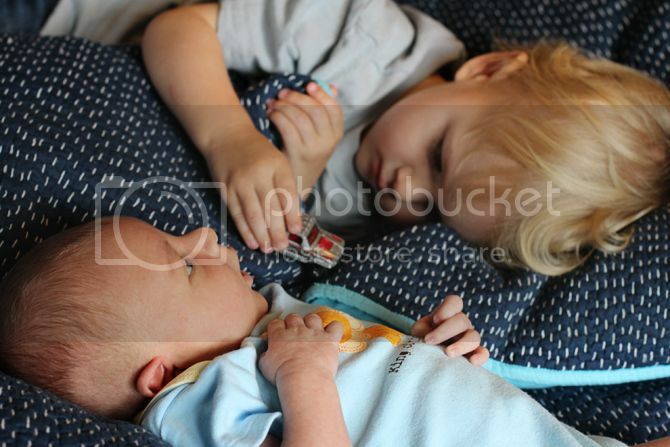 Finley looks so big compared to Braden!! I can't get over it! Thanks for posting Rach--these pics make me feel like I live closer than I do! He looks SO big already ;) They are both so handsome!! Love the pictures! Finley is bonding well with Braden. That is the best! I was at your stage once. It was beautiful, and tough! You look like just the right mama for those two little boys! Sweet photos. enjoy the royal wedding tomorrow morning! I don't know if I'll be able to time a feeding with it in the AM. and in central time it is a bit earlier! :) love your pics of your boys! i will eat them both up, right now. so freaking cute. 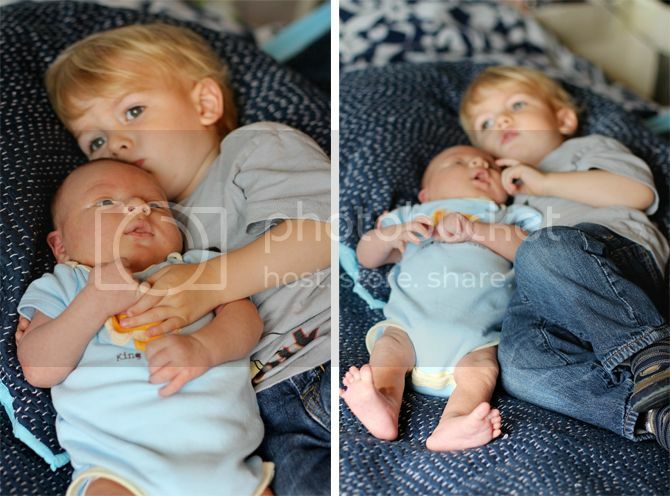 Oh my gosh, Rach, your boys are ADORABLE. This is adorable. Charlie was so big when Henry was born that he basically didn't care what that baby was doing... toddlers and newborns make me nervous -- and yet... AWWWWWWW! So cute.